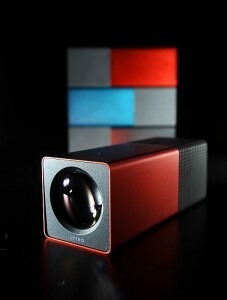 Dave got a Lytro camera last night. It’s a funky new invention that has interactive focus to create a “living picture.” So he lytro’ed me. Click around in the photo to see! It’s actually pretty fun to play with. Quality isn’t super amazing, but it’s unique. The design on the device is really interesting because it’s lightweight and silicon, with the buttons fairly flush with the device. The lens cap is magnetic. You set the exposure by tapping on your viewscreen. They start at $399 and you can only get them from Lytro directly.